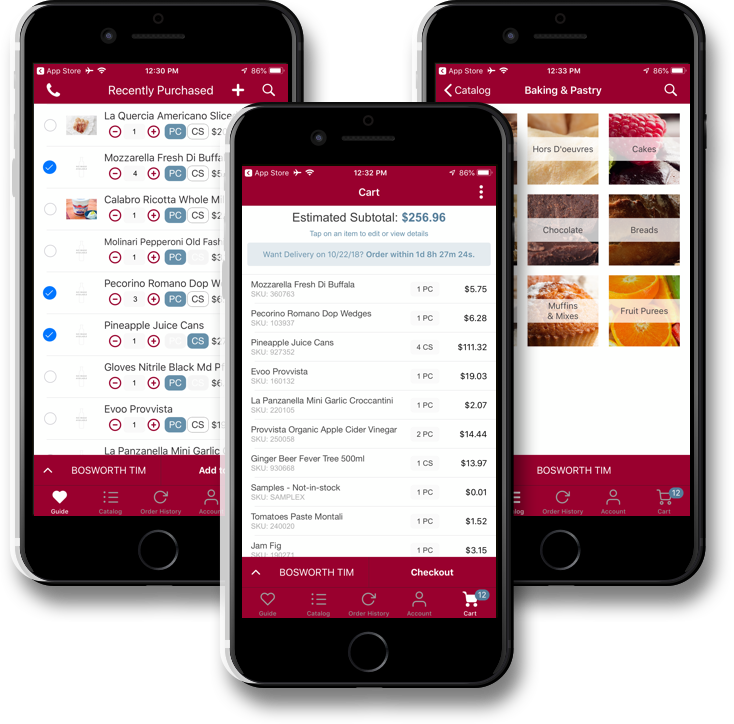 In the initial rollout, Chefs’ Warehouse introduced their mobile app via limited trial to 10% of their top customers. 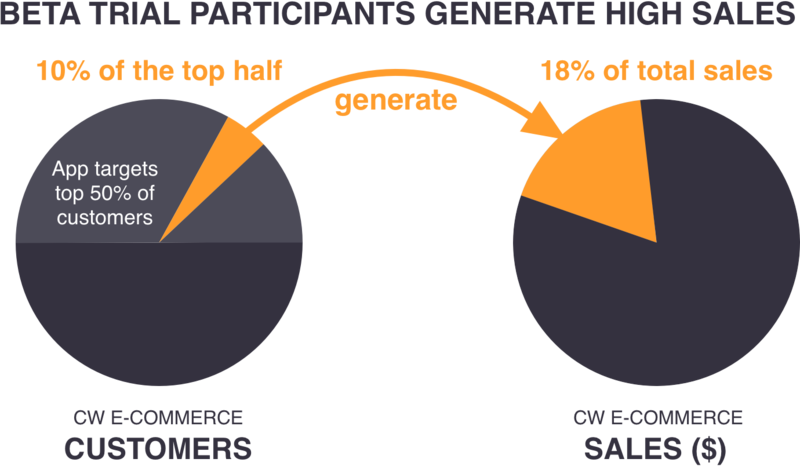 The app was quickly adopted by these users and started producing results right away. 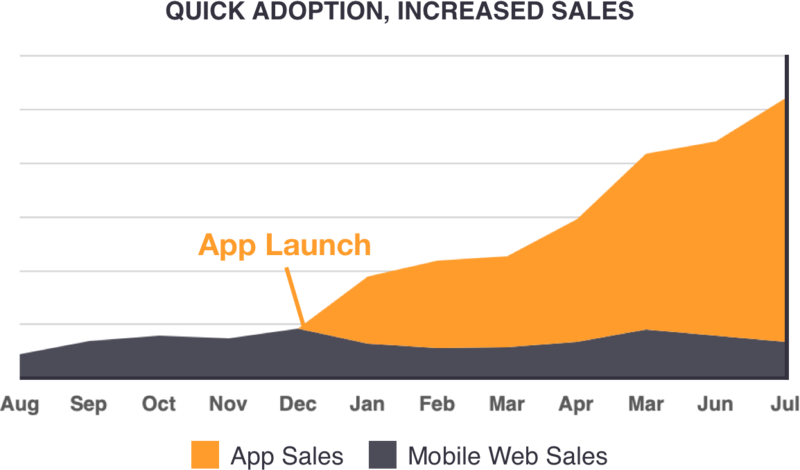 In the very first month after launch, the app generated higher sales than the mobile version of the website, which had long been available to all customers (see graph). 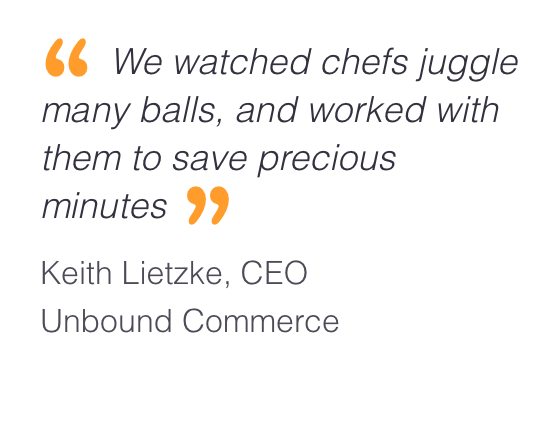 Despite being limited to just 10 percent of Chefs’ Warehouse largest customers, results were dramatic – with the app contributing 18% of total ecommerce sales. 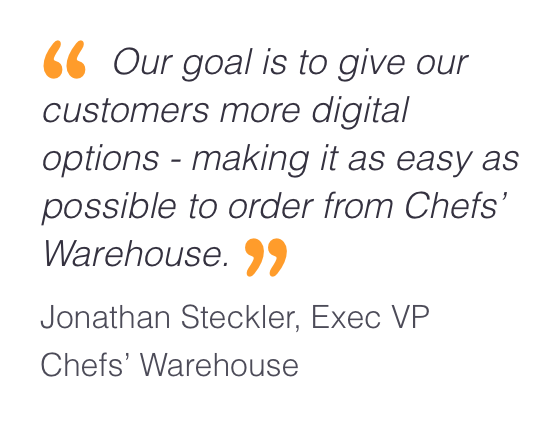 With the app having a 3X higher conversion rate than the mobile site, Chefs’ Warehouse decided they’d like all their customers to start using the app. Having seen it in action, the internal sales team wanted their own version. This was rolled out in Version 2.0. The Chefs’ Warehouse, Inc. (http://www.chefswarehouse.com) is a premier distributor of specialty food products in the United States and Canada focused on serving the specific needs of chefs who own and/or operate some of the nation’s leading menu-driven independent restaurants, fine dining establishments, country clubs, hotels, caterers, culinary schools, bakeries, patisseries, chocolatiers, cruise lines, casinos and specialty food stores. The Chefs’ Warehouse, Inc. carries and distributes more than 48,000 products to more than 30,000 customer locations throughout the United States and Canada.